Our training center announces the beginning of cooperation with the dental portal Go-Dentist. 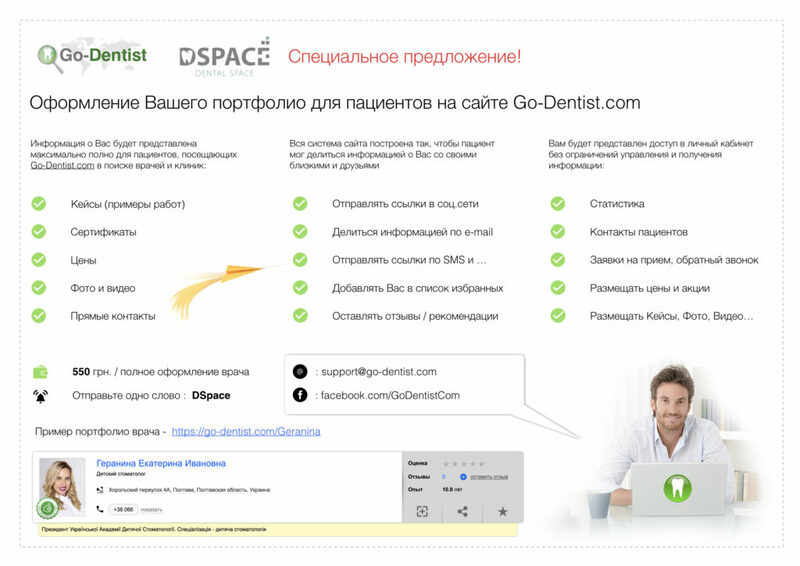 Go-Dentist is a professional communication system for patients – doctors – dental clinics. By metro – Kontraktova Ploscha, walk Konstantynivska street towards Zhovten Cinema; entrance to “cinematic arche”. By car – you can get to the entrance of educational center from Konstantynivska street through the “cinematic arche”. You also can place the car in the parking placed near public garden at Yaroslavska street. © 1996-2018 Dental Space. All rights reserved. Website created by studio "JUMP.team"